These gifts are for lovers of the great outdoors who want to stop and smell the roses. 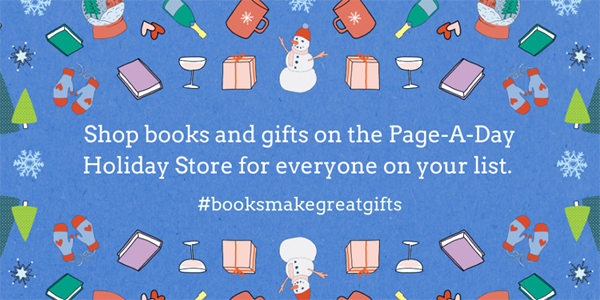 We have the perfect books to feed their passion and appreciation for all of Mother Nature’s splendor. Become a more attentive observer and deepen your appreciation for the natural world. The unique five-year calendar format of The Naturalist’s Notebook helps you create a long-term record and point of comparison for memorable events, such as the first songbird you hear in spring, your first monarch butterfly sighting of summer, or the appearance of the northern lights. Squeezing mindfulness into every day may seem impossible—but it only takes a few moments to go Into Nature. This collection of mindful activities unleashes creativity while helping you engage with your natural surroundings—in a park, in the garden, and even from indoors. 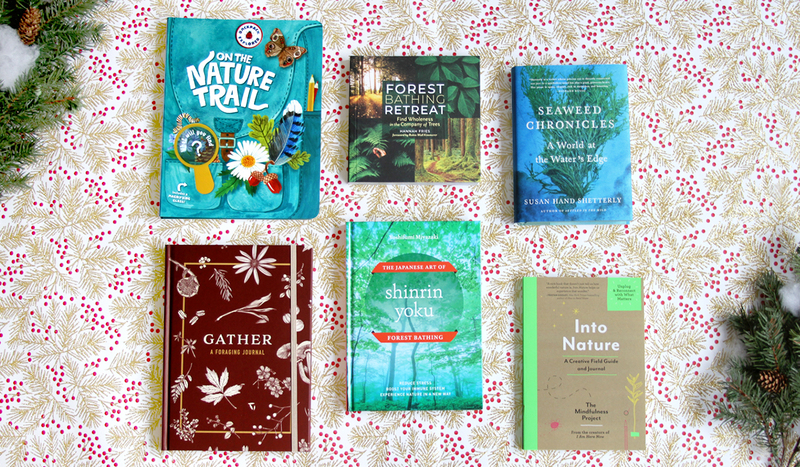 From the founders of The Mindfulness Project, here are life-affirming ways to help readers maximize the benefits of being in nature, which has been proven to increase happiness and cultivate calm. We all need a personal sanctuary where we can be in harmony with the natural world and can nurture our bodies, minds, and souls. And this sanctuary doesn’t have to be a far-away destination—it can be in your own backyard. In Creating Sanctuary, Jessi Bloom taps into multiple sources of traditional plant wisdom to help find a deeper connection to the outdoor space you already have—no matter the size. Equal parts inspirational and practical, this engaging guide includes tips on designing a healing space, plant profiles for 50 sacred plants, recipes that harness the medicinal properties of plants, and simple instructions for daily rituals and practices for self-care. Shinrin-yoku is the Japanese practice of seeking a deeper connection with nature by spending intentional time surrounded by trees. Commonly referred to as forest bathing, the meditative practice involves all of our senses and has extraordinary effects on health and happiness. In Shinrin Yoku, Yoshifumi Miyazaki explains the science behind forest bathing and explores the many health benefits, including reduced stress, lower blood pressure, improved mood, and increased focus and energy. This useful guide also teaches you how to bring the benefits of the forest into the home through the use of essential oils, cypress baths, flower therapy, and bonsai. Whether you are exploring a city park, a woodland area, or even the trees in your own backyard, Shinrin Yoku will help you detox from the stress of modern life by opening your eyes to the healing power of trees.